The Bharatiya Janata Party Saturday handed over Uttar Pradesh to Hindu hardliners when it named the firebrand proponent of Hindutva, Yogi Adityanath, as the Chief Minister of the state. The party’s state president, Keshav Prasad Maurya, who has his roots in the Vishwa Hindu Parishad, will be a deputy chief minister along with Dinesh Sharma, the low-profile mayor of Lucknow. Sharma has had a long association with the Rashtriya Swayam Sewak Sangh (RSS) and is the party’s national vice-president and in-charge of Gujarat. None of them are members of the Legislature. All three were potential chief ministerial candidates with Maurya being considered a front-runner along with Union Minister of State for Railways Manoj Sinha. Maurya’s image of being a chaiwallah who made it big in politics was compared with that of Prime Minister Narendra Modi. What came as surprise was that none of the three has had any administrative experience. This move is even more worrisome for the most populous state of the country largely because of Yogi Adityanath’s past. However, the trio named to head the new government takes care of the caste factor with a Most Backward Caste (MBC) and a Brahmin candidate assisting a Rajput at the helm. 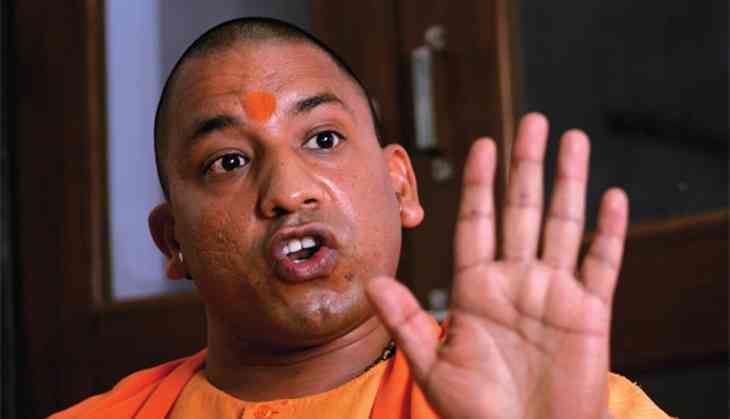 Yogi Adityanath’s appointment was especially received with shock in several quarters as he is a strong Muslim-baiter and the founder of a rightist, nationalist platform, the Hindu Yuva Vahini. Originally named Ajay Singh Bisht, he will be the first celibate, saffron-donning brahmachari to occupy the office of the chief minister. The swearing-in ceremony is scheduled to take place on Sunday at 2.15 pm. The five-time MP from Gorakhpur, Yogi Adityanath is the second chief minister from eastern UP after Vir Bahadur Singh in 1988. Maurya too is from eastern UP’s Kaushambi district. Their appointment shows the weightage being to the region considered poorer than even Bundelkhand. The disappointing aspect of at least two appointments - Yogi Adityanath and KP Maurya - is that the leaders have faced criminal charges. In 2005, Adityanath was also allegedly involved in the conversion of hundreds of Christians in Etah. He even once compared Bollywood superstar Shahrukh Khan with Hafiz Saeed, leader of a Pakistani terror outfit Lashkar-e-Taiba. His 'spiritual father', Mahant Avaidyanath, was the president of the Hindu Mahasabha, besides being the mahant of the Gorakhnath Math in Gorakhpur. After Avaidyanath’s death, Yogi Adityanath succeeded him as mahant of the shrine in Gorakhpur. Former BJP president M Venkaiah Naidu, who was present in Lucknow as the party’s central observer along with party general secretary Bhupendra Yadav, told the media that the election results were a mandate against caste and communal politics, corruption and for development. According to Venkaiah Naidu, approval to appoint Maurya and Sharma as deputy chief ministers was taken from BJP national president Amit Shah and the Prime Minister after Yogi said that UP was too big a state to be administered single-handedly. It will have to be seen if work will be allocated to the two deputy CMs on regional basis or if they will only be given some key portfolios. In order to address the concerns over his appointment in some quarters, the chief minister-designate asked all legislators to directly approach him with problems of their region. “There will be no need for them to come through the bureaucratic channel as I will be easily accessible to all the legislators,” he reportedly said, while seeking the support of all the 325 MLAs of the National Democratic Alliance. A former commissioner of Gorakhpur was, however, full of praise for the mahant. “He is well meaning, hard-working and has ample experience in governance having been a member of the Lok Sabha for five times,” he said. He was confident that Adityanath will provide mature governance. He will prove to be an honest chief minister, the officer predicts. Former head of Lucknow University’s political science department, Prof SK Dwivedi, admitted that he did not anticipate his appointment as CM. Dwivedi is close to the RSS himself. He said that contrary to his image Yogi Adityanath would work keeping in mind the interests of all sections of the society.